As display technology advances, high-quality sound experiences are also getting prevalent, TVs, displays, projectors, and home theater speakers are becoming essential in setting up home entertainment systems. Recent years, AV specifications are becoming more versatile, thereby offering companies and consumers in various ways in building a new home entertainment ecosystem with innovative applications of surround sound technologies. Using Dolby Atmos as an example, Dolby first launched the Dolby Pro Logic 5.1 with only 5 sound channels. 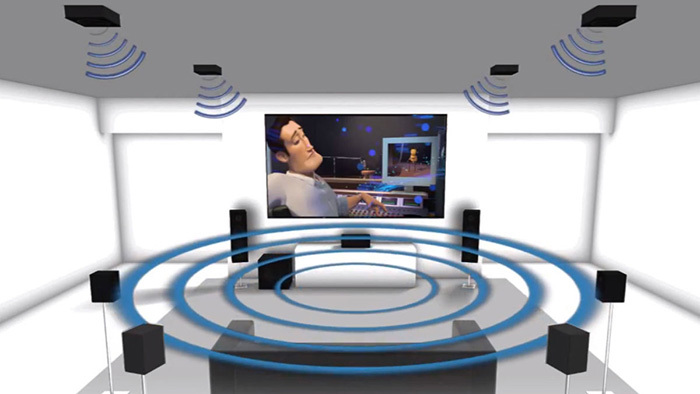 In April 2012, Dolby introduced Dolby Atmos, the first-ever movie surround sound technology that mixes audio elements into a single audio object without adopting the replaced channel dependency. With the latest Dolby Atmos 24.1.10, it can support up to 24 channels. With Dolby Atmos, users can place their speakers anywhere in a three-dimensional space, which allows users to design speaker locations and movements, bringing users an immersive surround sound experience. To further enhance the Atmos experience, Dolby Laboratories also launched the brand-new codecs Dolby ED2, which is an update of Dolby E and is backward compatible. Together with professional Metadata (PMD), Dolby ED2 enables a more compelling surround sound experience.